Hello everyone, CEO Olivia here again. If you don’t know already, March 26th is International Purple Day, a day for epilepsy awareness around the world. 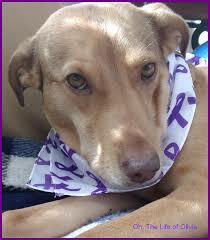 Humans & good dogs everywhere are encouraged to wear purple for the day. That gave me a wooftastic idea. I’m having a fashion show of sorts. On my Facebook page, Oh, Life of Olivia I’m setting up an event page. 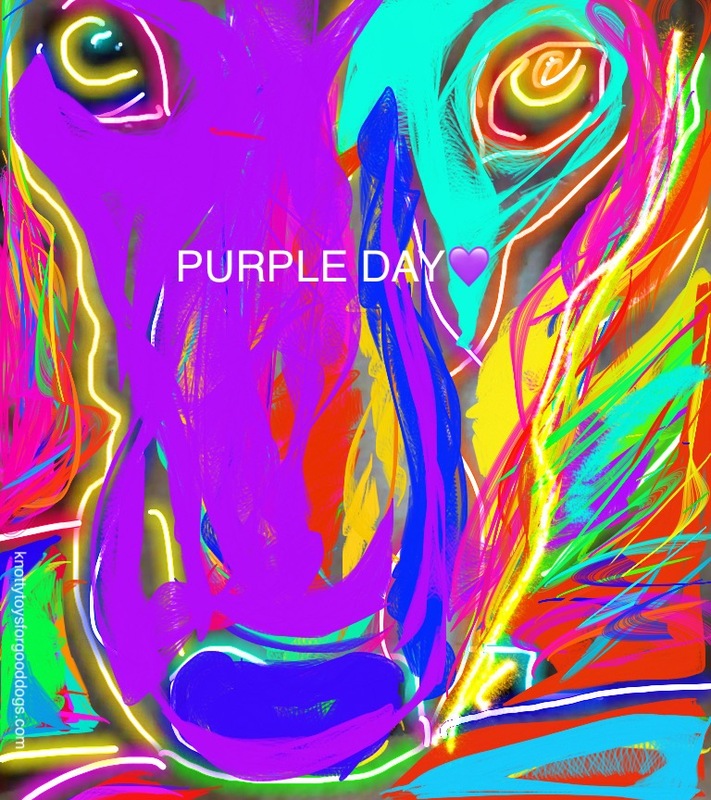 All this week you can post pics of your good dog or cool cat, sporting their finest purple on the event page & on March 26th, I will select a winner by random paw. The winner will get an all natural, raw hemp, Knotty Toy for Good Dogs! So run to your closets & dig out your finest purple for International Purple Day. Show your support for epi-warriors everywhere. I know I will be.